For a disciple not to have heard about the Holy Spirit seems to be Not A Good Thing. For those of us who are concerned to emphasise (I think rightly) the priority of preaching Christ and him crucified and who see the Spirit’s role mainly as (to use J.I. Packer’s expression) a ‘spotlight ministry’, drawing the attention to Christ not himself, this stress on the Spirit in Acts is an important thing to reckon with. Is there a danger that those of us who would think of ourselves as ‘conservative evangelicals’ might be so keen to distance ourselves from the excesses of hyper-Pentecostalism and unhelpful (or downright non-Christian) pneumatologies, that we might leave people with no doctrine of the Spirit at all? “If it’s not all about tongues, how do I know whether I have the Spirit?” I was asked recently. 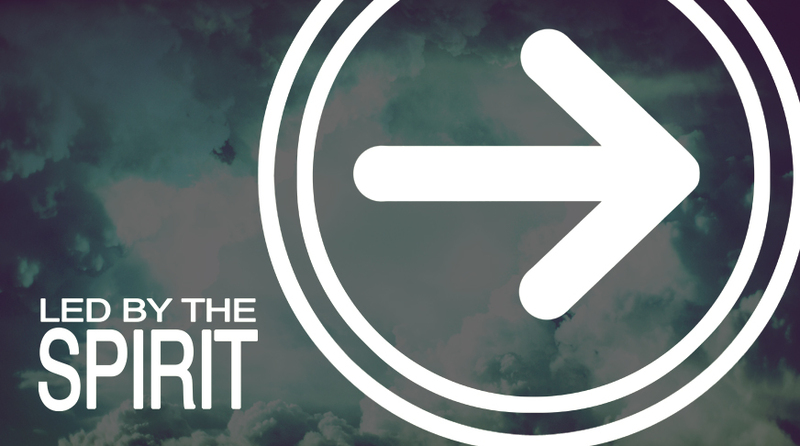 Where does the Holy Spirit fit into our proclamation and church and the Christian life? Presumably the invitation to receive Christ and to be baptised usually mentioned the Holy Spirit. Again, that’s what happens in Acts 2: baptism-forgiveness-Holy Spirit. Baptism is into the name (singular) of the Father, Son and Holy Spirit (Matt. 28:19). When Paul reminds the Galatians of their conversion he appeals to them as ones who clearly knew that they had received the Spirit at that point (Gal. 3:2) – that was not debate – that was obviously what had happened – he wants to remind them how they received the Spirit – i.e. by hearing and believing the gospel of Christ crucified not by Law keeping. It also seems the Galatians knew their Christian life had begun by the power of God’s Spirit (Gal. 3:3), the question is whether they will go on that way. Presumably the early discipleship of believers would have been full of reminders of the gospel including explanation of the Spirit’s role in their salvation. You certainly see this throughout the apostles’ letters to the young churches. They are constantly reminding believers of what has happened to them so they grasp the enormity of it and live in accordance with it. Their focus is always on Christ and him crucified but wherever they talk about justification by faith and salvation through the blood of Christ, the Spirit is never far away. Ephesians 1: The Father chose you before Creation, the Son died for you on the Cross, the Spirit sealed you as you believed (cf. similarly 1 Peter 1:2). Titus 3:4-7: Father, Son and Spirit; justification and regeneration. Romans 8: stellar chapter interweaving the glorious gospel of Christ and the true work and marks of the Spirit. Putting this altogether it seems that for the apostles to speak about Christ was inevitably to speak about the Spirit-anointed Christ. To speak about his death and resurrection would have inevitably led to talking about the Spirit who unites us with Christ to make the benefits of his death and resurrection ours. They would have left no one in any doubt that without the Spirit of Christ they are dead and that from their first breath of faith to their final good work, all would be the Spirit’s work in them. They would have talked about how God sent his Son to redeem us and the Spirit of Sonship into our hearts that we might be swept up into the Son and cry out to the Father as our Father. They would talked of our natural blindness and desperate need every day for the Spirit to open our eyes wider and wider to Christ. Is that my message and life? I love it when I lead an inductive Bible study and I ask a fairly open question and people come out with answers that are far better than what I was hoping for – they’ve seen things clearer than I did in my preparation. It’s really exciting. God is speaking to me there and then. So what does this all tell us about how the kingdom is going to be established? What is vital in mission? What is necessary for true growth and fruit? Jesus. Brilliant answer! 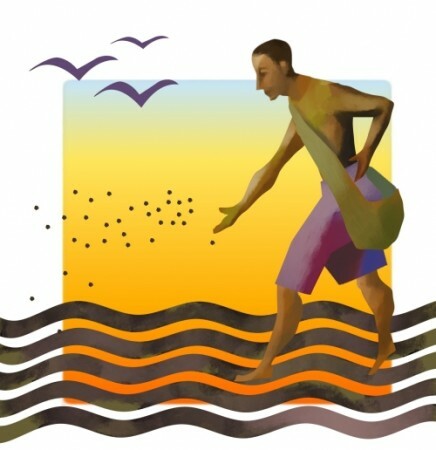 The group had seen that it’s the parable of THE SOWER (v18). It’s all about Him. If he doesn’t turn up there’s no sowing, no life, nothing. The Son needs to come from heaven to earth and die for us and be united to us and be our life. If there’s no Jesus we might as well all go home and give up. Our salvation is Jesus. This was a wonderful reminder to me of what/who is absolutely everything. When I say ‘the Word does the work’ I’ve got to be careful that I know and those I’m talking to know that it’s the Word of Christ. The Word is all about him; the Word leads us beyond itself to life in him; he is the one who does the work, through his Word.